Dirty chai is a popular coffee shop drink. It's an espresso drink made of a shot of espresso mixed into a 'chai tea' (or masala chai). It's usually made with a chai concentrate, steamed milk and a single shot of espresso. It's a mid-point between a regular latte and a chai tea latte. Dirty chai Lattes can be hot or cold. Cold dirty chai can come in the form of an iced latte or a blended latte. At most coffee shops, you can order a dirty chai latte by simply asking for it, even if it isn't on the menu. If the coffee shop doesn't offer it, as for a chai latte with an added shot of espresso. For example, although it isn't on the Starbucks coffee menu, you can order a dirty chai at Starbucks (hack the menu) by asking to have a shot of espresso added to your chai. If you want your dirty chai cold, you can order it as an "iced dirty chai latte" or a "blended dirty chai latte" (which is blended until smooth, and often served with whipped cream and/or other toppings). You can also make your drink a "double dirty chai" by asking for two shots of espresso. 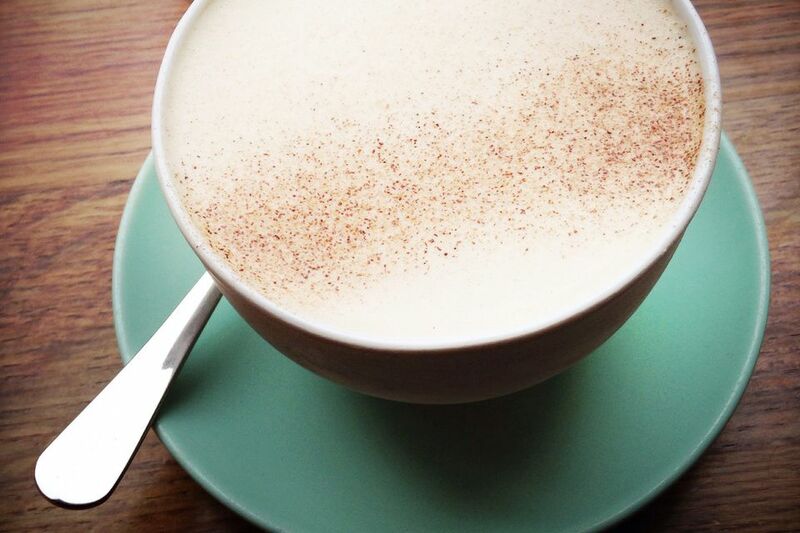 There are plenty of easy and simple recipes to make your own dirty chai. Popular brands offering dirty chai teas include Starbucks, Celestial Seasonings (in teabag form) and Peet's Coffee & Tea. The most common variations on hot dirty chai lattes are iced dirty chai lattes and blended dirty chai lattes. Other popular variations on usual dirty chai lattes include vegan/dairy-free alternatives like soy dirty chai (made with soy milk) and almond dirty chai (made with almond milk). In some places, you can also order more exotic variations, like a green tea dirty chai. There are also many recipes that include espresso and chai spices (and, sometimes, black tea), such as muffins, almond butter, kulfi, cupcakes, pancake, and protein shakes. Dirty chai is one of the many ways in which chai spices are used as flavors in other edibles, like chai frosting or chai smoothies. Chai-flavored foods and drinks have become incredibly popular in recent years. Other examples of drinks that combine coffee and tea include Hong Kong's yuanyang coffee-tea and chai-coffee cocktail. A similar concept to the idea of chai as a flavor is the 'mocha' flavor profile, which originated in mocha lattes and has since spread to various types of unexpected mocha recipes such as mocha cake. You can also get a similar flavor to a dirty chai latte by ordering a cinnamon latte, ginger latte or cardamom latte, or by ordering a spiced tea with milk and an espresso shot. The term "dirty chai" may also refer to Dirty Chai Magazine. What Espresso Terms and Definitions Should You Know?